In London the influence of Melbourne on the café scene has been strong and prolific for a good five years now. There are enough independent coffee bars with serious guys (it seems to be a mostly male activity) operating Marzocco espresso machines to warrant a guide book, and indeed one has just been published by Coffee Hit: “The Independent Coffee Book – London”. In Paris, however, where you would expect the standard of coffee to be high, being the French national drink, it is hard to find the same standard as in London. This is now changing, led by a small movement of roasters and baristas, who are showing the Parisians a better quality product. 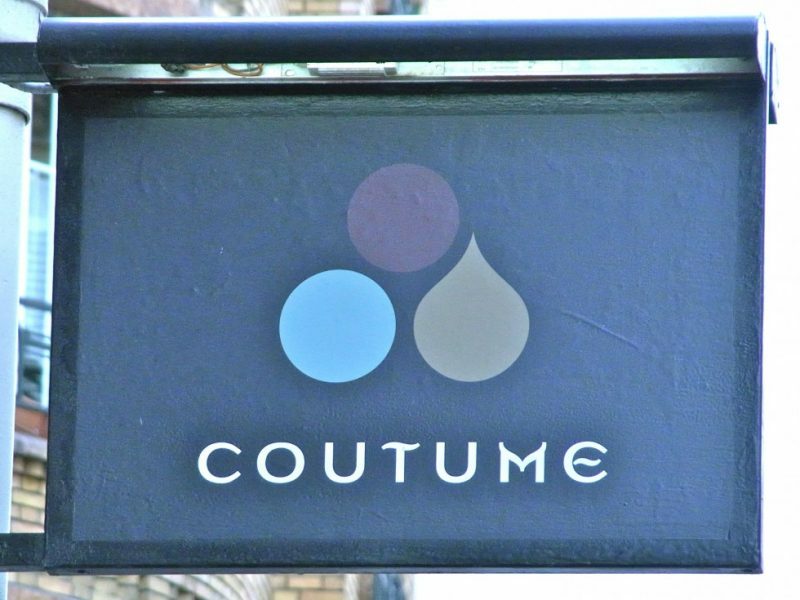 At Coutume Cafe in the 7eme, co-owner Thomas Clark is Australian, while his French partner Antoine Netien spent time in Melbourne immersed in the coffee scene, particularly roasting the beans. The bar counter ressembles a chemistry laboratory, with glass receptacles all lined up on the tiled surface. All the serious elements are there, with different methods for the various beans, including the 24 hour cold water drip process. Despite this, the courteous and dashing Antoine is trying to get away from the Australian label. 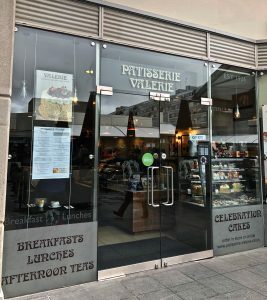 “We are serving great coffee, but against a background of French gastronomy. That’s what makes us different.” He goes on: “Why can’t you just have the best of everything? We blind-tasted our teas, and chose Rishi, the American organic and fairtrade brand to be our supplier. And we want to be well known for our food too”. The attention to detail on the menu persuaded me to stay for lunch: Jambon de Paris (from the last remaining Parisian producer), and a delicious sounding Legumes Masala, while I spied a vast 2 kg loaf from the artisan baker Gontran Cherrier being cut up for bread baskets. The tempting desserts come from the nearby Patisserie des Rèves. I agree with Antoine, if you choose your suppliers carefully, you can have the best of everything. The key is not too much cooking on the premises. The atmosphere was convivial with a mix of American and British expats, and the chic French locals. The decor is light and airy and fashionably distressed with some bare plaster walls, indicating a focus on the products rather than the surroundings. Netien was the Melbourne 2007 Golden Bean roasting champion, and therefore a coffee roaster sits at the back of the premises. Like Caravan in Exmouth Market, London, Coutume wants to supply other local discerning cafés and restaurants too, with its roast coffee beans. One the day I visited, it was Coutume’s first birthday, and all coffee drinks were being generously charged at only one euro. With a successful year behind them, and much ambition ahead, I can’t think it will be long before the opening of a second branch.